The word découpage comes from the French word découper which means to cut out. It is literally the art of cutting out printed or drawn designs and gluing them to another surface. 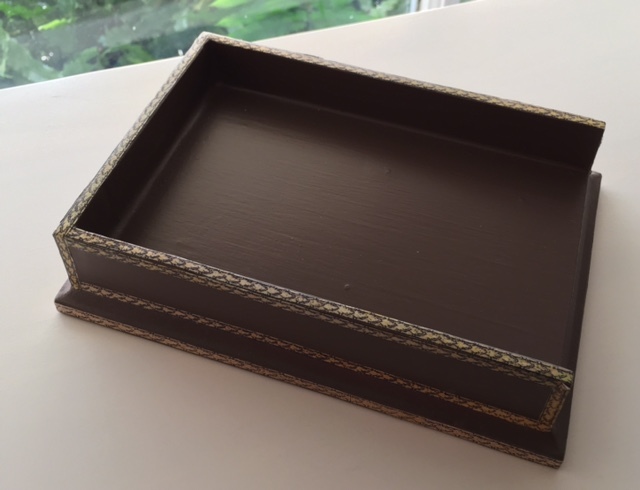 The surface, which is usually painted or stained and may be gilded or antiqued, is then coated with multiple layers of clear varnish until the glued-on pieces no longer rise above the surface of the item. Traditionally, 30 to 40 layers of varnish were applied to a surface and the item was sanded between each coat of varnish. 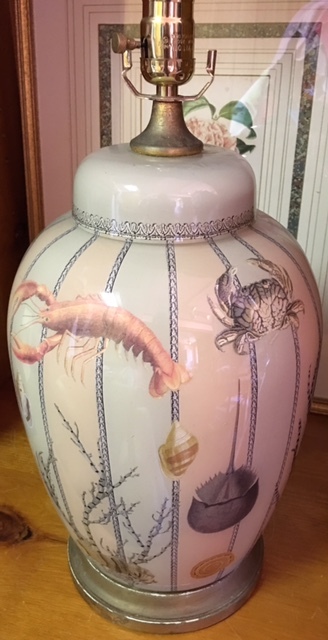 It is generally thought that the origins of découpage came from Siberian tomb art and the technique made its way to China in the 12th century. The Chinese decorated lanterns, boxes, windows and pieces of furniture with cut-out pictures and elevated the craft to a sought-after art form. Alligator & fish WPB 260. TB 130. 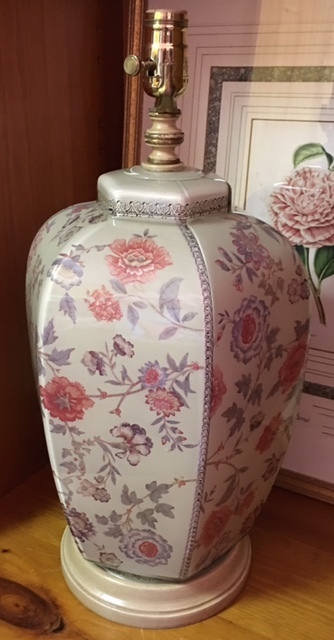 By the 17th Century, Florence, because of its formidable trading with the Orient, began to adopt many of the art forms imported from China.....découpaged art amoung them. 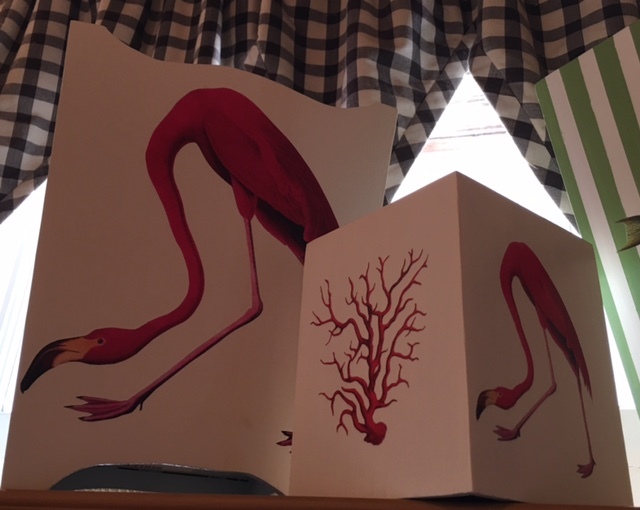 Flamingo & Coral WPB 260. TB 130. 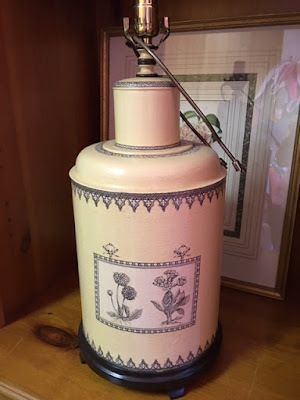 Today, many companies advertise their products as découpage, but they are not. If an entire printed page is glued to a wooden basket, or lamp, or plate, it is not really découpage. The image that is glued to the object must be cut out. 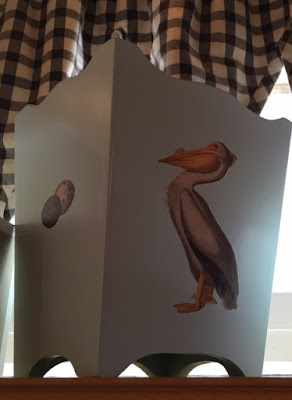 Pelican & Egg WPB 240. TB 120. The more intricate the design, the more prized the art work. It takes a steady hand and a lot of patience to cut out a coral branch, for example. 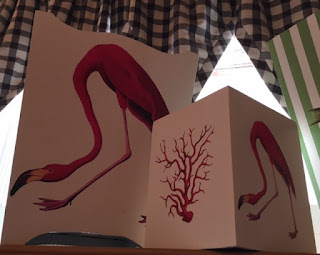 As the artist cuts out the paper for a design such as this, the resulting cut-out is extremely delicate and must be handled with care when applying to a surface so as to avoid a breakage, and I might add, a breakdown on the part of the artist after investing an hour or two of cut work should the image rip. Shell WPB 240. TB 120. Our Boutique is filled with découpage items in many different forms. 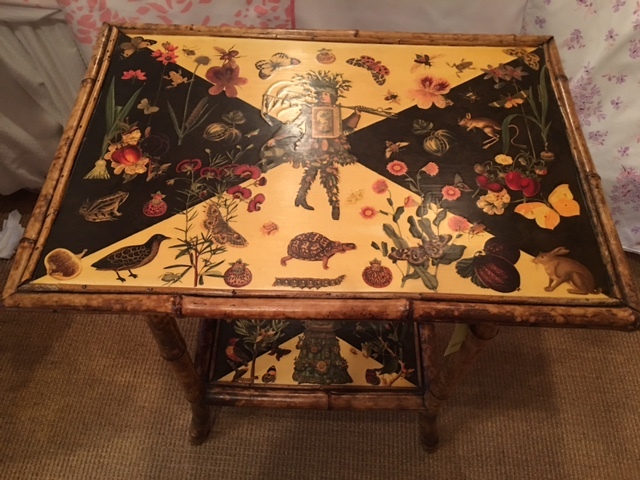 We have an antique secretary with beautiful trim work and a bamboo table with fanciful images. We have lots of wooden items, including wastebaskets, tissue boxes, trays, notepad holders. We also have lots of items under glass. 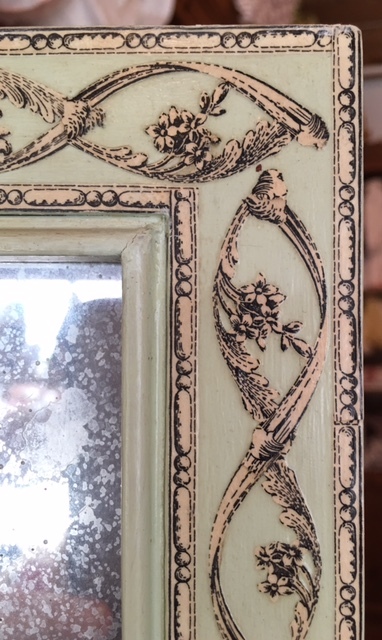 When découpage work is done on glass, it is glued to the reverse side of the glass item so the glass acts as the varnish. Behind the image is a coat or two of paint which acts as the backdrop of the design. The paint color must be selected with care so as to compliment the image. 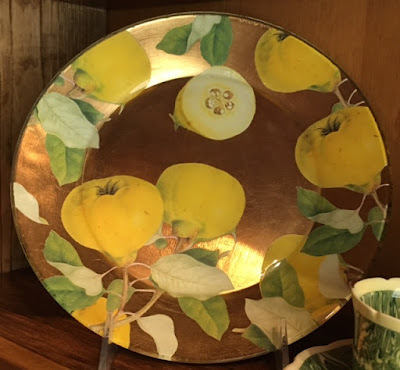 Sometimes the background is solid gold leaf, as seen on the lemon plate, or gold leaf that has been partially rubbed off so as to let the background paint color show through, as seen on the flower fairy plate. 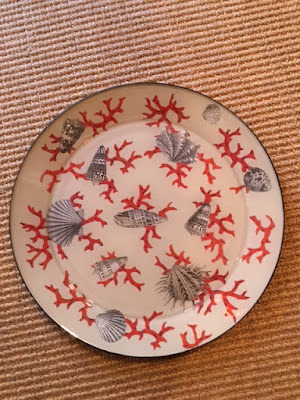 This method gives the plate an antique feel. Scott Potter Lemon Plate 140. 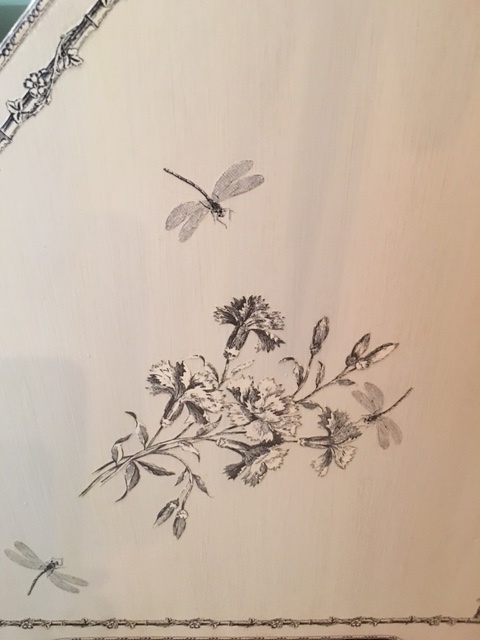 When découpage work is done on a plate, a last coat (usually in black) is applied to the back in order to protect the painted background color from scratches. These plates can be used to serve, but must be hand washed, else your diswasher might scrub the design right off.....mon Dieu ! When découpageing a lamp base, the work is again done from the back. Before the lamp is assembled, the glass cylinder has the design glued to its inside face. Several layers of paint are then added behind the image before putting the lamp together. Needless to say, this is a very time-consuming pursuit and requires an extremely skilled master craftsman to execute. It is very obvious why these lamps command such high prices. 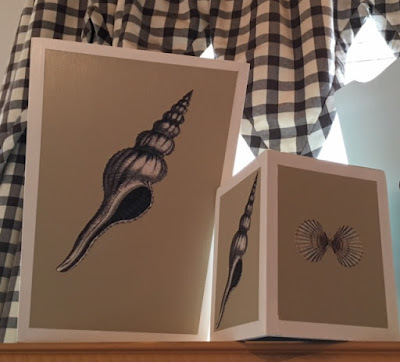 Currently, we have many different themes in our lamp selections. Some designs have a pair of lamps and some only a single lamp. The artist whose work is most sought after is not producing his works of art any longer, so they are more valuable then ever ! 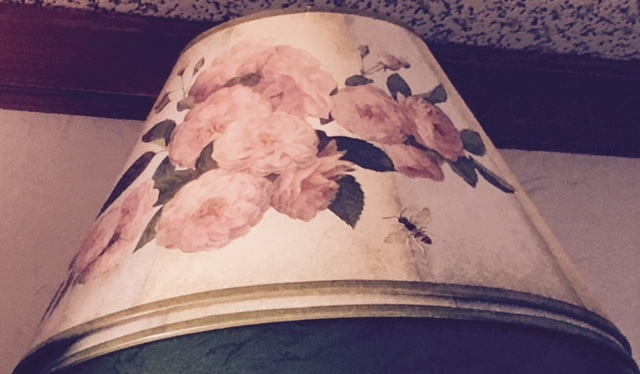 Mint green floral lamp 2,670. 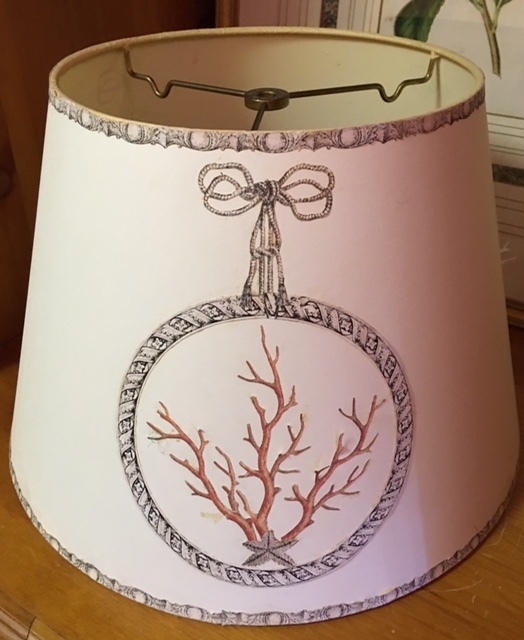 In addition, we have all sorts of shapes and sizes of lamps in stock, but should you need a particular size, shape, color or theme, we can order one to fit your need from our newest artist. She will work with you to create exactly what you want. 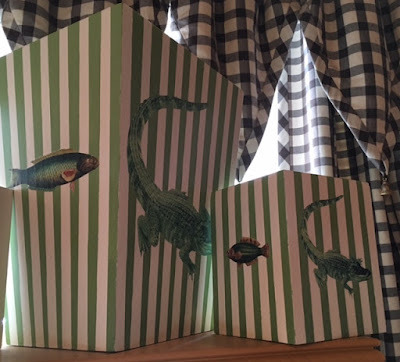 Sometimes, finding just the right image can be a difficult task, so we invite you to bring in your own images for cut work and découpage, whether it be for a lamp, a box or a tea tin. Some of our lamps have a stained wooden base and cap and others antique gilded ones. 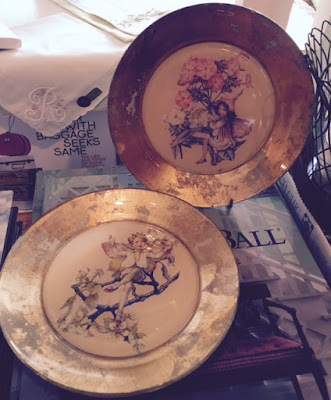 We do have some unusual items that sport a découpaged surface. 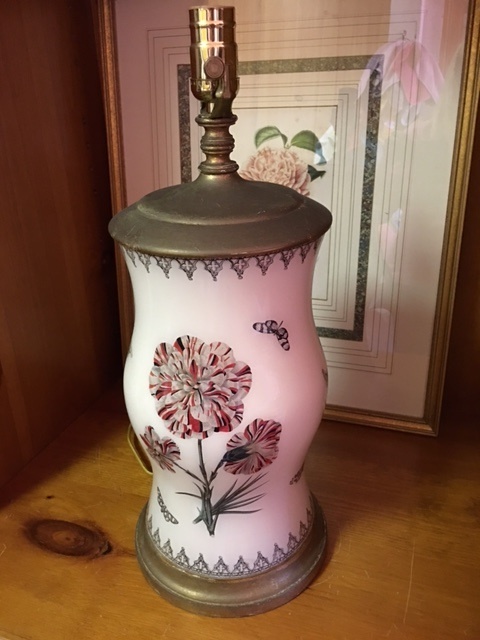 One of our lamps is actually an antique tea caddy (metal) that has been sanded, painted and decorated. We also have a small, oddly-shaped antique container, also made of metal, that has been painted in stripes, gilded on the edges and découpaged with the prettiest wildflowers and butterflies. 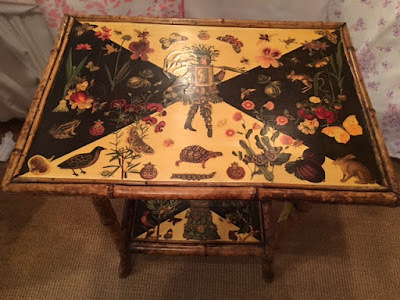 The woman who made this découpaged table top, did so on a vintage bamboo side table. 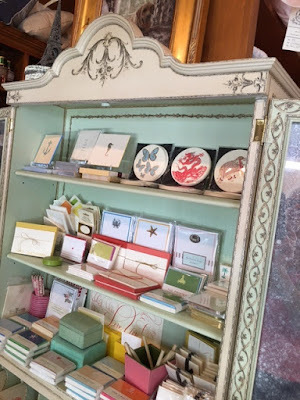 Several times a year, she travels the globe in search of antique furniture and collectibles that she can decorate with her extensive collection of paper cut work. I say, what a fun way to finance your travels ! 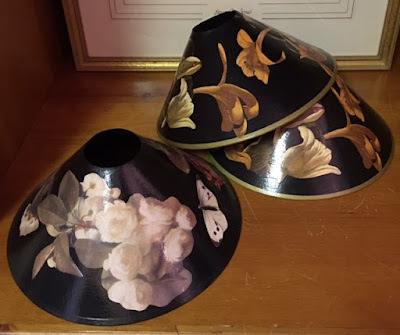 Our lamp department also has a few lampshades with découpage designs. Lampshades usually cannot withstand the same multi-varnish layers that are applied to less porous surfaces, so the cutwork normally has a little bit of a 3D effect. 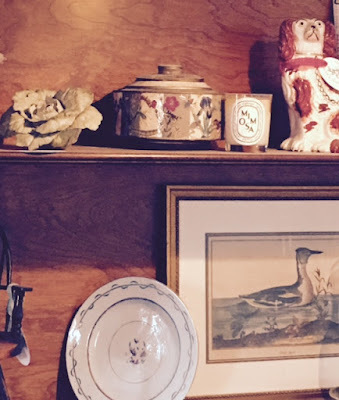 Whatever the object, you can see how découpage art can elevate its beauty. Hopefully, you have gained an appreciation of the craft and the process involved in its creation. It is truly a labor of love (and stiff fingers).